We are seeking passionate, committed folks to join the Matrix Board of Directors. The role of the board is to provide oversight and governance to the work of Matrix. Are you a parent who understands the challenges that families face? Or maybe you are a professional who sees the importance of the work we do. We would love to have your experiences and perspectives as part of our board. To meet the requirement as federally funded Parent Training and Information Center, the majority of our board members are parents of children who experience disabilities. Alexis is a Marin native who attended the Mount Tamalpais School in Mill Valley and The Branson School in Ross. After graduating from UCLA, she taught elementary school with Teach for America in the Compton Unified School District followed by some time as the Director of an after-school educational center and as a private tutor for students struggling in reading. Alexis’ philanthropic side led her to a job in the Community Relations department at Macy’s where she assisted with the philanthropic endeavors of the Macy’s 13 western states.Alexis left Macy’s to attend the University of San Francisco School of Law where she focused on estate planning. Upon graduating, she worked for Sterling L. Ross, Jr. (“Terry”) in Mill Valley. Terry is the originator of the Special Needs Trust and an experienced estate planner. While there, Alexis worked with individuals that have developmentally disabled family members on their estate planning and conservatorship needs.Working with families to ensure their developmentally disabled family members were protected through conservatorship proceedings became Alexis’ passion. She launched her own practice to focus solely on this need. Colleen has worked as an education specialist in Marin County for over ten years. She has her general education and special education teaching credential, as well as her Master’s Degree from Dominican University. Currently, Colleen is pursing her Doctorate in Special Education at University of San Francisco. She is also a professor at Dominican University, with wide teaching experience at the university level specializing in special education and Autism Spectrum Disorder. She acts as a supervisor for new and beginning teachers, which keeps her connected to the special education classrooms and school environments across Marin County. Sarah lives in Santa Rosa, California and is a mother to three daughters ages seventeen, fourteen and nine. Before becoming a parent Sarah worked as a teacher and a family outreach worker with Head Start. She has an Associate Degree in early childhood development. Even with this work background and the experience of having two children behind her, she felt completely overwhelmed with the decisions in front of her when her third daughter Ella was born with special needs. Nine years later, Ella is thriving and brings joy to all around her. Sarah continues to learn how to advocate for Ella and learns new lessons from Ella everyday. Sarah has found the help and training she has received at Matrix invaluable. She is excited to give back as a board member and help keep these services available to others. Eli Gelardin serves as the executive director of Marin Center for Independent Living (MCIL). Mr. Gelardin has more than a decade of experience working in disability services and advocacy. During his leadership at MCIL, the small grassroots organization has grown to an annual budget of approximately $900,000 with 11 staff members and serves more than 800 individuals with disabilities each year. In 2013, MCIL was recognized as a California Center of Excellence by its peers. Mr. Gelardin also serves as the co-creator of QuickMatch.org, an innovative web application that blends the high tech capacity of an online personal care registry with the high touch services of local nonprofit community-based organizations. QuickMatch.org was recently featured as a model for homecare innovation at the National Home and Community Based Services Conference in Washington, D.C. Mr. Gelardin translates his personal experience as an individual with a disability into his professional roles. He currently serves as the Chair of the California State Independent Living Council (CA SILC), Chief Financial Officer of the Mission San Rafael Rotary Foundation and a board member of the California Foundation for Independent Living Centers (CFILC) and the World Institute on Disability (WID). Mr. Gelardin lives in the Bay Area with his wife, Christina, and their two children. They are a multi-generational disabled and proud family. Heather Johnson has spent 25 years working in the field of Evaluation. 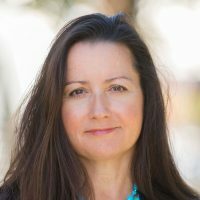 She currently serves as the Evaluation Director at one of the largest community foundations in the United States, the Marin Community Foundation (MCF). For the past nine years at MCF she has helped to measure the effectiveness of the organization’s strategic plan, and provides evaluation technical assistance to grantees and donors. 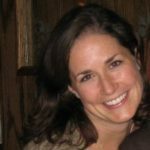 Prior to her work with MCF, Heather worked as a Health Educator for Health and Human Services where she provided education and evaluation services to the Mental Health and Alcohol/Drug Service Departments. Prior to this, she spent 15 years working at a private evaluation consulting firm in Northern California where she evaluated over 100 projects that served vulnerable populations. Heather’s passion is helping nonprofit and government organizations see the power of making data driven decisions. She believes data can uncover serious social issues and help organizations improve their practice. Heather holds a B.A. in Sociology with a minor in Child Development and a Masters of Administration in Social Science with an emphasis in Health Services. She has a certificate for Advanced Studies in Evaluation. Outside of work, Heather enjoys playing the guitar and hiking. She lives in San Rafael. Shawn is an accomplished strategic thinker and has led new and established businesses around the world. She has over 15 years of experience managing and supporting businesses as they strive to build scale, reach profitability and gain competitive advantage while ensuring the mission of the business remains in focus. Shawn currently heads Strategic Operations for the Global Private Market Business at Solium and also leads her own impact consulting practice. Previously, Shawn was Executive Director: Head of Sales & Strategy at Morgan Stanley Wealth Management in Sydney, Australia. Before Sydney, Shawn was a founding member and a leader of the Micro-finance Institutions Group at Morgan Stanley UK, working with micro-finance institutions in developing countries overcome a variety challenges such as access to capital, capacity-building, geographic expansion, changing regulations, mergers and acquisitions. Shawn has an MBA from London Business School and a Bachelor of Science, Finance from Boston College. She currently lives in the Bay Area with her husband and four children.